Constructed entirely from Duralumin, the ACAZ C.2 was a two seat fighter reconnaissance aircraft. All four wings were identical and interchangeable. 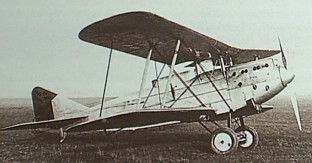 The C.2 was evaluated by the Aeronautique Militaire Belge in early 1926. On 9 March 1928 an attempt was made to fly it to the Belgian Congo. The aircraft was written off on 25 January 1933. The design was not put into production.